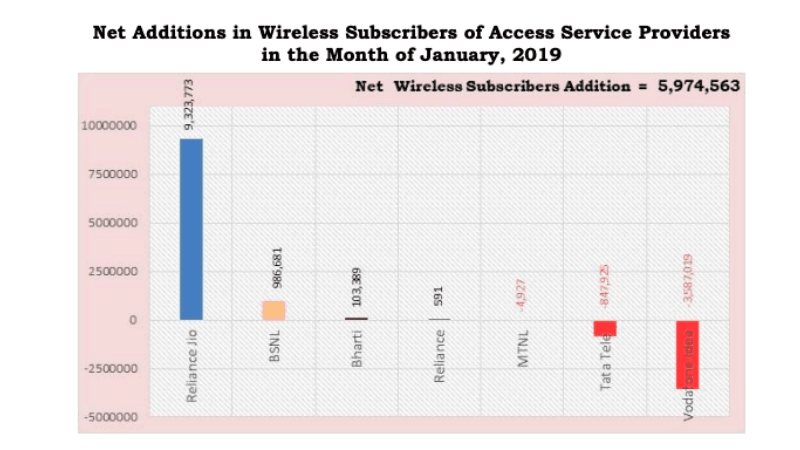 The Telecom Regulatory Authority of India (Trai) has released the monthly subscription data for January 2019. At the end of 2018, top telcos Vodafone Idea and Bharti Airtel reported a massive dip in the subscriber base, thanks to the introduction of minimum recharge scheme. 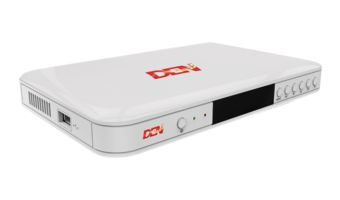 While the carnage seems to be ended for Bharti Airtel, it isn’t the same for Vodafone Idea as it lost 3.5 million subscribers, which brings its overall subscriber base to around 384 million. On the other hand, Jio continues to add new subscribers as it added a whopping 9.3 million users during the first month of 2019. With this, Jio’ subscriber base reached 290 million, and by the end of March 2019, the Mukesh Ambani-owned telco might report 310 million subscriber base. Bharti Airtel, on the flip side, added just above one lakh subscribers during the month. Going by the numbers reported by telcos at the end of December 2018, Jio is now the second largest telecom operator in terms of subscriber base with 290 million user base, while Airtel’ user base is around 285 million. In what would be a piece of expected news, Jio continues its aggressive subscriber addition for another month. The telecom operator which started operations in September 2016 has added 9.3 million subscribers in January 2019. As noted, Bharti Airtel has added just 103,389 subscribers. Also, the data released by Trai states that Jio has a market share of 24.49% while Airtel is still second on the list with 28.80% share. Other private telcos Tata Teleservices lost 847,925 subscribers during the same month. Vodafone Idea is still leading the market with 35.12% market share and Jio is closing in the gap at a quick pace. 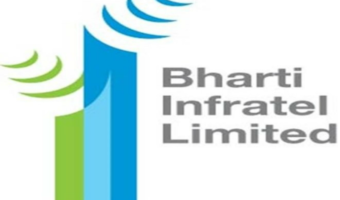 In recent times, BSNL has been under a lot of pressure as there were a couple of reports which stated the telco has been asked by the DoT to look for profitability options or either shut down the services. 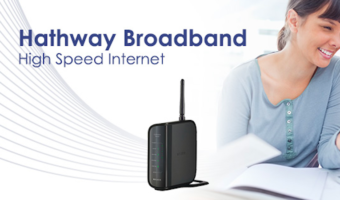 Later on, BSNL was again in the news for not clearing salaries of the employees for the month of February 2019. However, the government-owned PSU rubbished all the rumours stating that it’s fully committed to providing services to the users. Also, BSNL is the only operator along with Reliance Jio that is adding new subscribers every month for a while now. 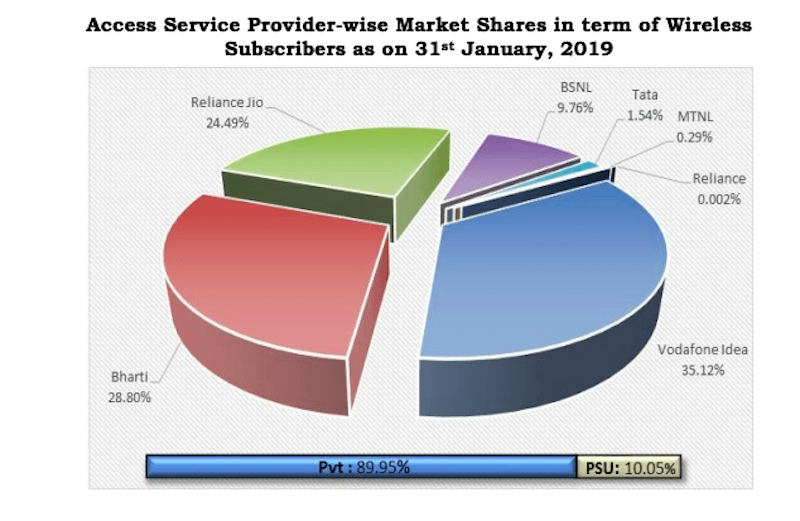 Even in January 2019, BSNL added 986,681 subscribers which isn’t a small number considering what the top two telcos are going through in the industry right now. Another state-owned telecom operator, MTNL, has lost 4927 subscribers during the month, further increasing its owes in the industry. It will be interesting to see how the industry folds in the future as Jio is expected to become the leading telecom operator in India by the end of March 2020. No spectrum in Karnataka. Weakest circle for Vodafone and Idea along with Tamil Nadu. With 30Mhz only spectrum you cant expect more from these operators.